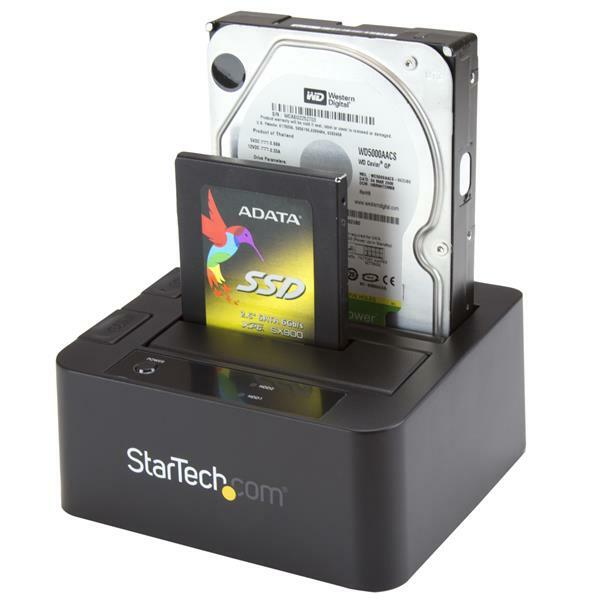 The SDOCK2U33EB Dual 2.5/3.5" SATA hard drive docking station lets you dock and swap hard drives from your desktop or laptop computer simultaneously using a single eSATA or USB port. 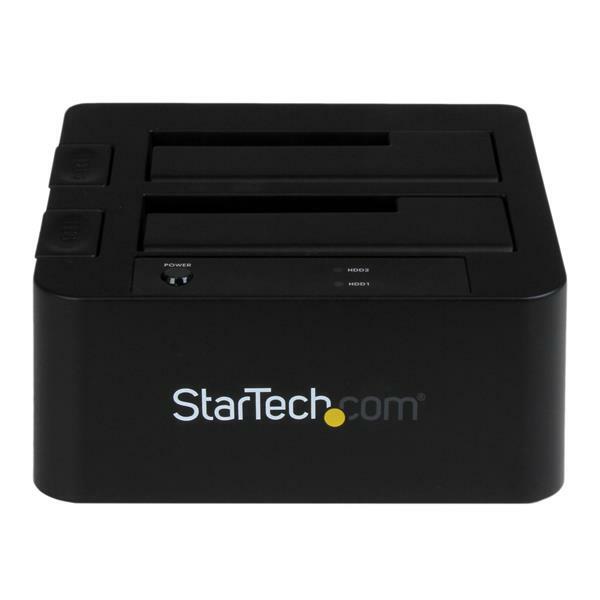 For fast performance and efficient data transfers when connected through eSATA, the docking station supports full SATA III transfer speeds -- up to 6 Gbps. 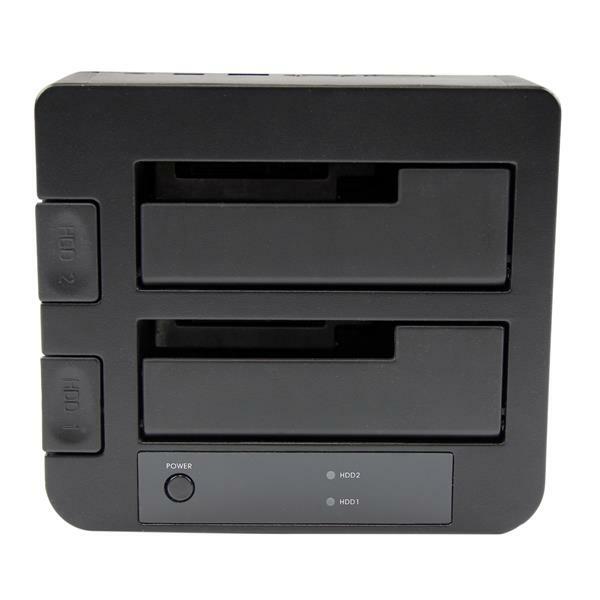 For universal compatibility, the dock can be connected through USB 3.0 with transfer speeds up 5 Gbps plus support for UASP, which supports performance up to 70% faster than conventional USB 3.0 when paired with a UASP-enabled host controller to utilize the full potential of your SATA III hard drives. See our UASP testing results below for further details. 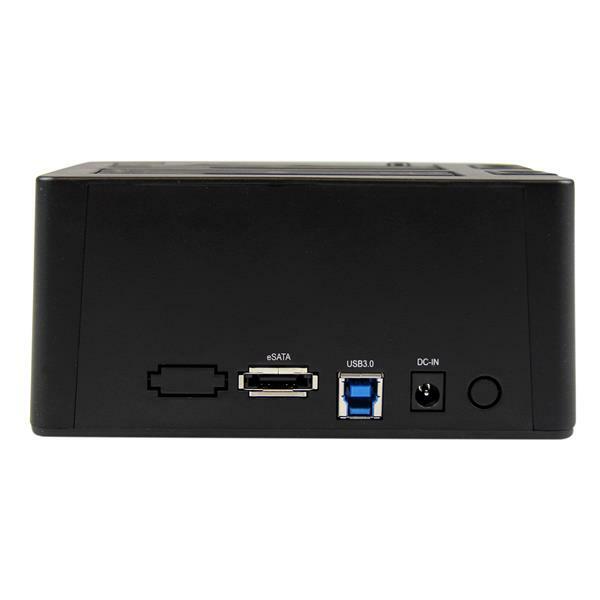 To ensure compatibility with your computer system, the SDOCK2U33EB supports all of the leading operating systems, including: Microsoft Windows® (8/7/Vista/XP/Server 2008/Server 2003), Apple® OSX (10.9/10.8/10.7/10.6), Linux, and Google Chrome OS™. 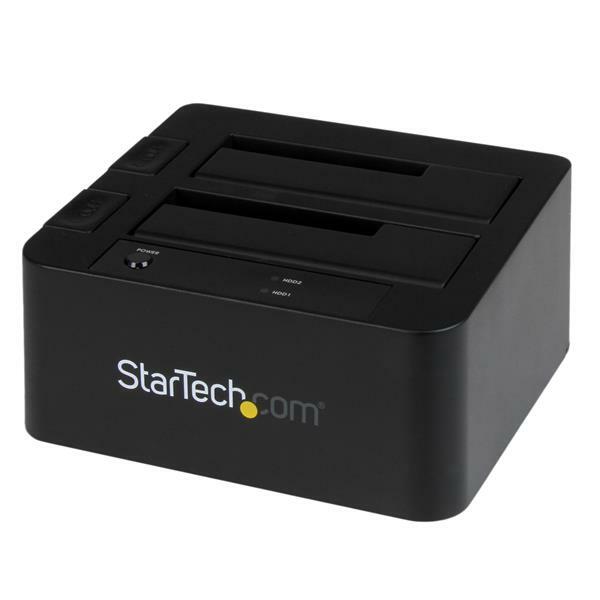 The SDOCK2U33EB is backed by a StarTech.com 2-year warranty and free lifetime technical support. I have been using the docking station for about 3 weeks. tried both the e-sata connection and the USB3 cable. 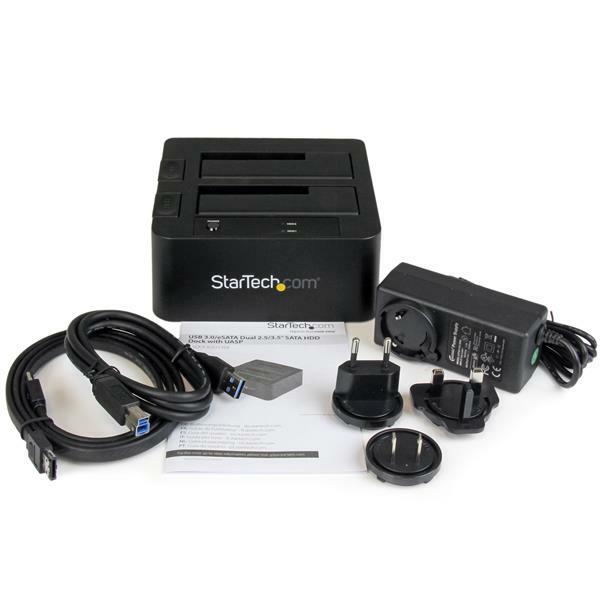 I using the device as a storage point for system backup. 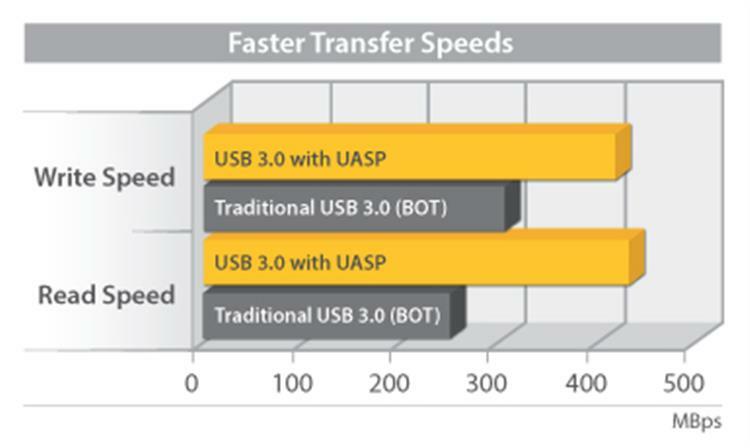 The read write speed is nearly twice the speed for the usb3 is nearly twice the spe3ed of the e-sata connection. I have not experienced issues with the HDD failing to register with the OS. the docking station has been highly reliable.